I love pork, but oddly enough I don’t cook it often. When I do, it has to be good and well seasoned. 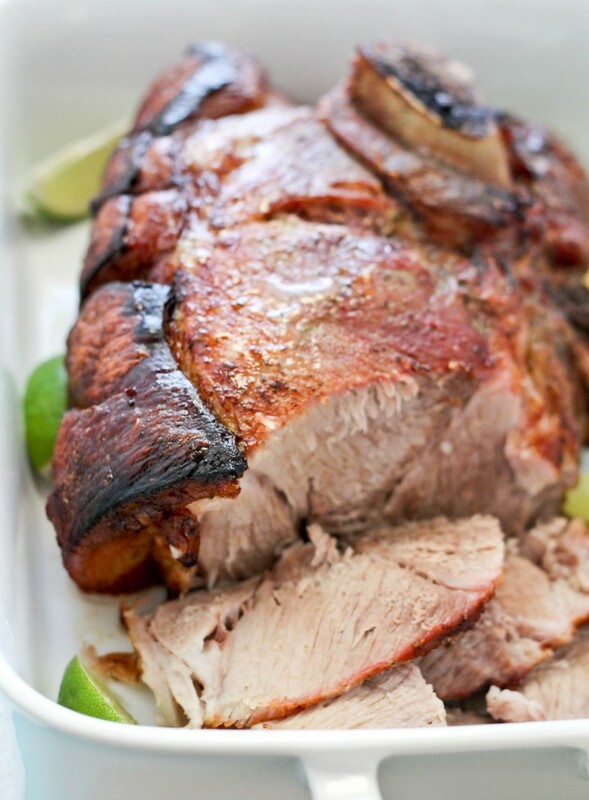 I’ve been making a roast pork shoulder for a few years now and decided to share my recipe with you because it is that good! 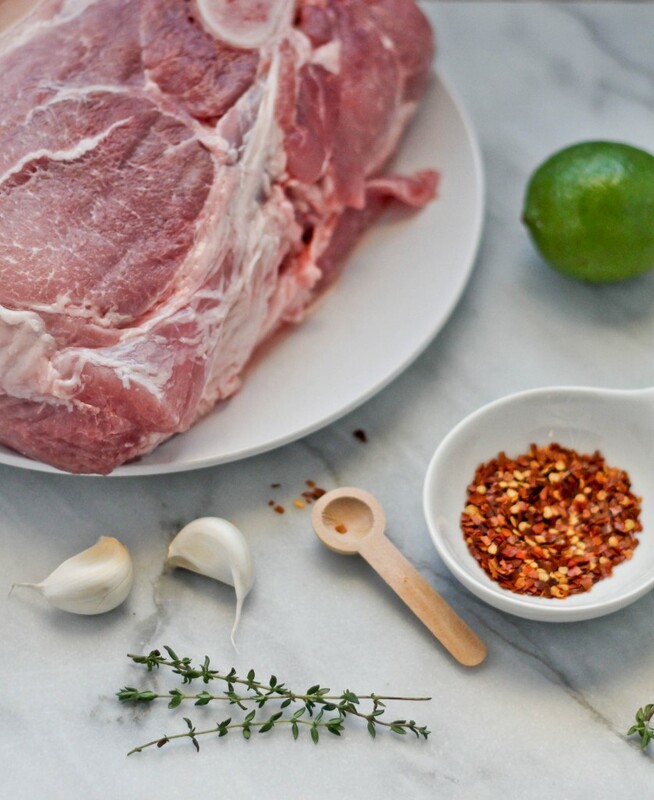 The pork was seasoned for 24 hours in a marinade that’s similar to the Cuban and Puerto Rican style marinade – it has lots of garlic, thyme, rosemary, orange and lime juice. I then cook the pork covered for 2 hours then remove the foil and crank the heat up and cooked at a high temperature so that the skin becomes like crackling – so good ya’ll. The meat is juicy and because it was marinated for so long, the flavors are in every bite and not just on the outside. Serve this with black beans, yellow rice and fried plantain for an amazing meal! Slice large slits on the skin side of the pork, all the way down to the meat. 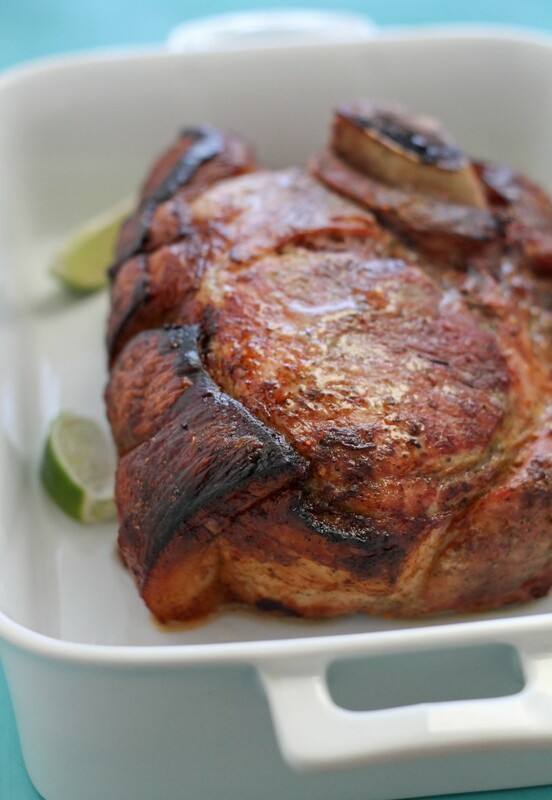 Place the pork shoulder in a large Ziploc bag. Mix remaining ingredients in a small bowl then pour over pork. Seal the bag and place the pork in the fridge overnight or up to 24 hours. Remove from fridge then let stand at room temperature while you preheat the oven to 350 degrees. 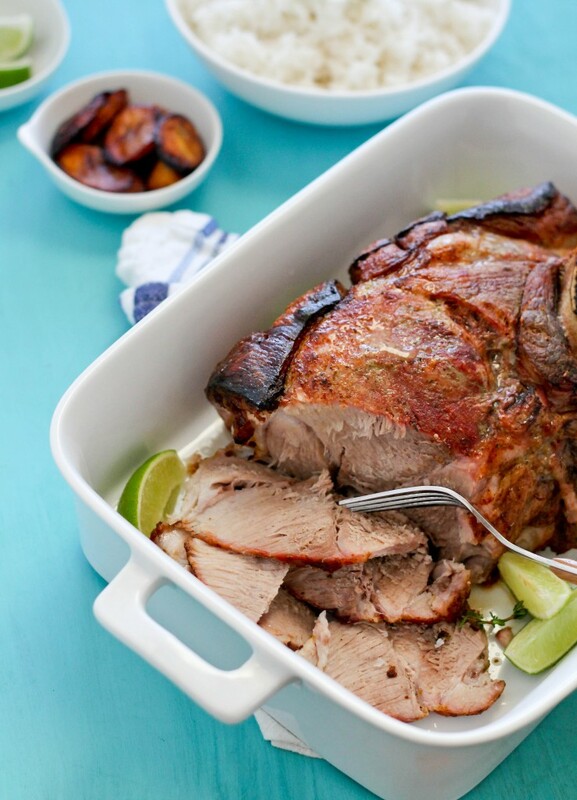 Remove pork from the marinade and place in a 13×9 baking pan and cover tightly with foil. Toss remaining marinade. 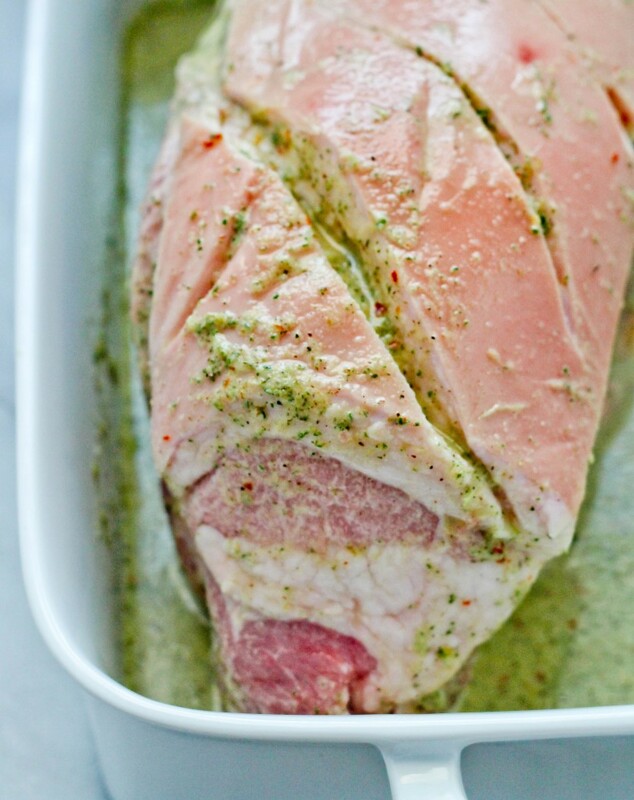 Place pork in preheated oven and roast for 2 hours. After 2 hours, remove the foil and turn the oven up to 450 degrees and let cook for an additional 40 minutes or until the skin is crispy and golden. Remove from oven and let rest for 15 minutes before serving.